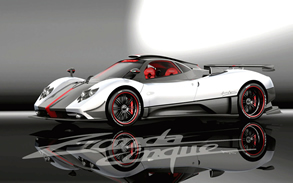 Pagani has finally released official pictures along with technical details of the upcoming street legal version of Pagani Zonda R.
Called the Pagani Zonda Cinque, Pagani will build only 5 units, all of which have already been sold. Pagani's latest supercar promises extreme performance for the street. The Zonda Cinque will be powered by the same 7.3L V12 found in the Zonda R - albeit detuned from 750 horsepower to 678 - and will also wear the Zonda R's carbon fiber body, the combination of which will see the Cinque accelerate from 0 to 62 mph in just 3.4 seconds. Performance is enhanced with an ABS by Bosch, traction control and carbon-ceramic self ventilated Brembo brakes - front 380x34mm 6 piston calipers and rear 380x34mm 4 piston calipers. 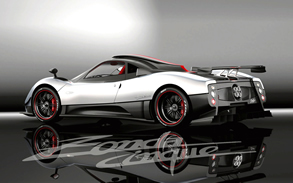 All that stopping power allows the Pagani Zonda Cinque to go from 62-0 in 2.1 seconds and 124-0 in 4.3 seconds. What exactly is a sports car? Battery Brand You Use For Your Car?